Per S.B. - Teapot; handthrown buff stoneware. 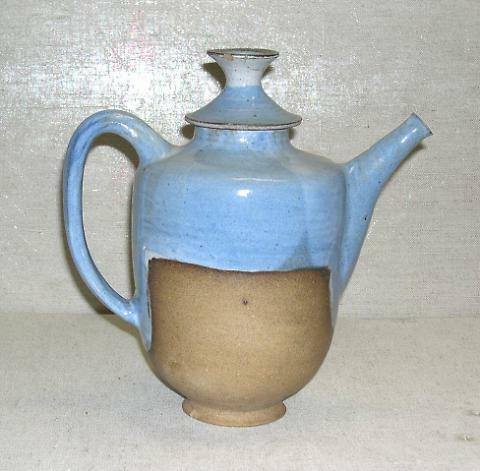 The light blue glaze with white underglaze is restricted to upper prtion of body, handle, spout and lid (with finial). The rest of the teapot is unglazed. Wildenhain collector Forrest Merril feels that this piece is ealry Pond Farm.